Studio to help create and optimize technological solutions for the game. CD Projekt RED has announced the establishment of a long-term strategic cooperation with Vancouver-based studio Digital Scapes Studios focused on the upcoming futuristic RPG Cyberpunk 2077. 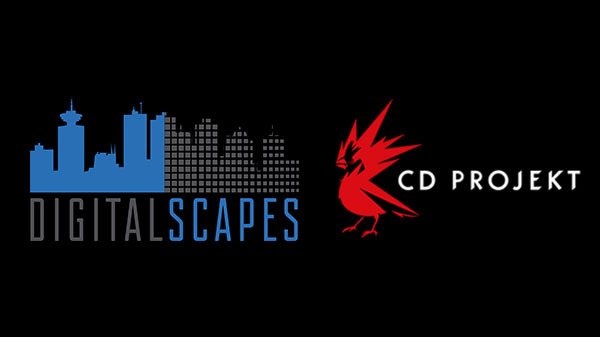 Founded by industry veterans hailing from BioWare, Radical Entertainment and Relic, Digital Scapes is an ambitious video game development studio specializing in AAA multiplayer console and PC game development, development tool creation, asset production, and cloud computing. Digital Scapes team members worked on blockbuster game series like Company of Heroes, Warhammer 40,000, Dying Light, Prototype, and more. Cyberpunk 2077 will be available for PlayStation 4, Xbox One, and PC.